We love Burnetts. We don't get the poos after we drink Burnett's. 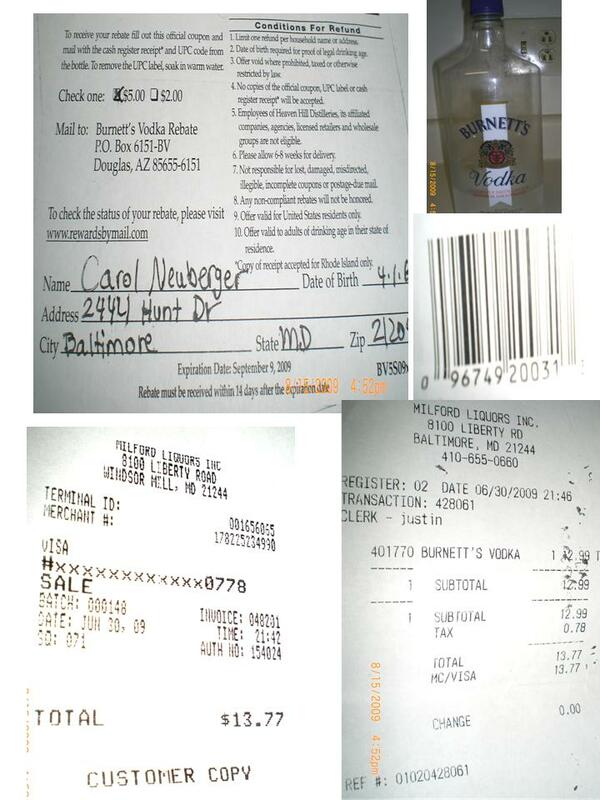 These are the receipts I sent in. I have another copy I can send or fax if you like.